A small but significant number of immigrants who arrive to this country are elderly. Older learners can be defined chronologically, as between the ages 40-65, or by status, as midlife career changers, retirees returning to the labor force, displaced workers, and homemakers. 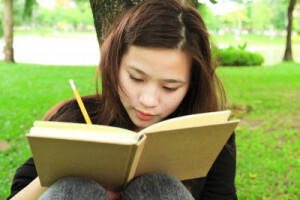 While, contrary to popular belief, adults can learn language in the early stages more quickly than children due to more highly developed cognitive strategies for processing information, many older learners still have different learning needs from younger adult learners that should be addressed in ESL programs. Below are some factors that can affect their English language learning in the classroom, as well as strategies for working with these factors. 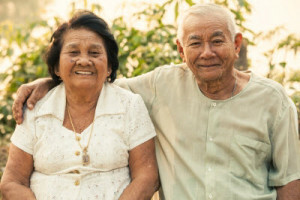 Visual and hearing disabilities: Aging tends to affect sight and hearing, which can make it difficult for older learners to hear the language as it’s spoken or read their lessons. Create a more comfortable classroom environment for older learners by keeping the room well-lit, using textbooks and other reading materials with large print, and reducing any background noises as much as possible. Learning styles: Older learners have often become set in their ways with regard to the different learning styles they have developed over the years, so it would be beneficial to use a more flexible teaching approach. Observe how your students learn best, draw on their life experiences, and use these tools to further engage them in learning English language and literacy. Personal and professional needs: Many older learners are not learning English as part of the goal of earning a degree or certification. Instead they’re learning it to gain access to information and services, for work, to interact more fully with other English speakers, or to communicate with family members who do not speak the learner’s native language. Focus the lessons around practical everyday tasks like making a doctor’s appointment, or on interactions with family, friends, and their communities. Our full solutions for Welcome to Computers for ESL Students, 4th Edition, coming August 12, includes large print, picture dictionaries, and a variety of activities and assignments to engage many different learning styles. Contact Labyrinth Learning to learn more. One challenge many ESL instructors face is retaining students in their classes. Throughout the semester, you may see your class size dwindle as students attend class irregularly, or disappear altogether. Some factors for this are beyond the instructor’s control; changing work schedules, family responsibilities, and transportation issues are some of the issues that can affect students’ attendance and ability to continue the course. Other barriers to success are more internal. Low self-esteem and embarrassment from the possibility of making mistakes can prevent students from participating in class and improving their oral language skills. Frustration at the slow progress of acquiring language skills may discourage students from continuing with the course. Also, some students may not feel supported by their instructors, peers, or even their families in their pursuit of English education. However, there are steps instructors can take to help students combat each of these obstacles and persevere in their studies. Following are some common barriers to regular class attendance, and some strategies for encouraging students to continue with their studies, thereby increasing class retention. Students feel uncomfortable and unsupported in the classroom. Create a welcoming environment in your classroom. Make time to speak to each of your students individually at the beginning of the semester and get to know them. Make yourself available shortly before or after class to answer questions and arrange times to meet with any students who need extra guidance. Also, have students get to know each other by learning everyone’s names and assigning group activities during class to give them opportunities to work together. To alleviate any anxiety students may feel at the prospect of making mistakes in front of the class, reassure them that failure is normal and a part of the learning experience that will lead them to success. Share your own mistakes and failures in learning a second language, and how you learned from them and improved your language skills. Recognize and praise students’ efforts to participate in class whether their answers are right or wrong. Students feel frustrated and discouraged that their progress is slower than they anticipated. Learning a second language is hard work and takes a long time, and the difference between a student’s expectation of how long it will take them to learn English and the reality of how long it can really take, especially when juggled with all of their other responsibilities, can lead to frustration. To give students a barometer by which to measure their success, work with students to establish realistic goals and timelines to accomplish them throughout the semester. Goals can include ordering a meal, making a doctor’s appointment, or asking for directions and understanding the responses. Then meet with them regularly to discuss their progress. You may even create competency checklists at the beginning of the semester so students have a tangible source by which to measure their progress. Personal responsibilities interfere with the student’s ability to attend class. Many adult students balance their studies with jobs and families, and some often miss class to attend to these responsibilities, leading to irregular attendance or dropping out altogether. Financial issues are another factor that can interfere with a student’s ability to attend class. To find out what the barrier may be, contact the student about their attendance, then depending on the issue, lead them to resources and organizations that can help with their needs, like for employment, transportation, childcare, or tuition. If the issue has more to do with scheduling, let them know that there are other sections of the course and they can switch to another class at a time that is better for them. Some students drop out of the program because they think that once they have stopped attending a course, they can no longer return. Let them know that they will always be welcome to return to the program at a later date. Our full solutions for Welcome to Computers for ESL Students, 4th Edition include a variety of assignments and activities to engage students in learning English and basic computer skills. To learn more, contact Labyrinth Learning today. As technology in the classroom and digital education become more common, the transition to digital teaching and learning means instructors need to develop the necessary skillset to effectively teach digitally. This is particularly true for ESL instructors teaching computer skills to English language learners. “Electracy” is computer literacy. Using electracy in combination with traditional instruction helps provide a format for students to engage in multimodal and hands-on learning and encourages them to become active learners. A combination of tradition teaching and digital technology can create an optimal learning environment for students. Among the digital literacy skills students should be taught are: computer vocabulary; keyboarding and word processing; communicating using digital tools; and Web browsing and conducting online research. They will also need to develop their communication skills involving electracy, in addition to ESL skills like linguistic competence. With electracy skills, instructors will be able to help their students learn these skills though digital technology, which will involve them in class discussions and collaborations. Training in technology standards and keeping on top of new technological developments will help instructors provide students with a modern learning environment and support their educational needs. Electracy development can be viewed in a sense as learning a new language. Just as ESL instructors are trained to each ELL students how to speaks a new language, ESL instructors themselves are learning a new language when they learn new technology skills and strengthen their digital literacy. Our solutions for ESL computer classes include activities and resources that fulfill all of your students’ learning needs. To learn more about our Welcome to Computers for ESL Students, 4th Edition textbook and workbook, coming out in August, contact Labyrinth Learning today.